It will alert you to the possible occurrence of severe weather, such as heavy rain with risk of flooding, severe thunderstorms, gale-force winds, heat waves, forest fires, fog, snow or extreme cold with blizzards, avalanches or severe coastal tides. In one glance you will be able to see where in Europe the weather might become dangerous. The colours used on the website maps indicate the severity of the danger and its possible impact. On the European map each participating country is coloured consistent with the highest colour assigned to a current warning. Clicking on a country will link you to national and regional warnings. 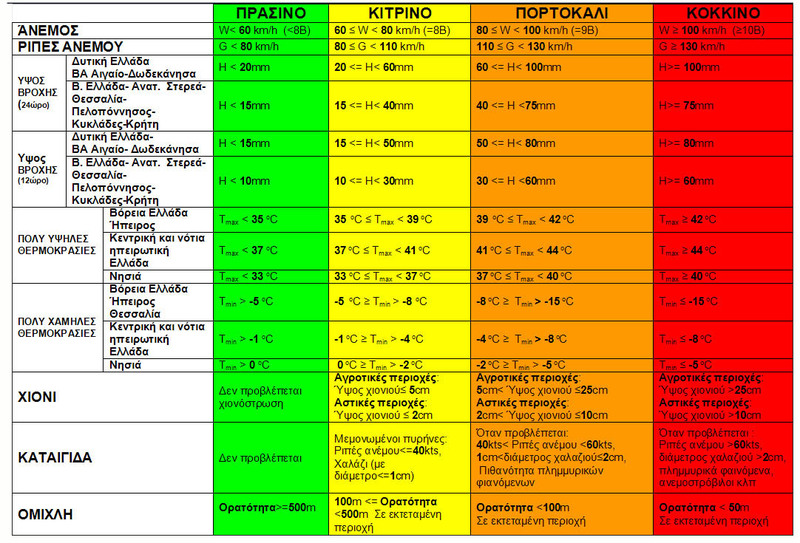 For the higher awareness colours (orange and red) pictograms will be added to the regional information. This will show you what types of weather are expected to cause disruption and potential danger. By clicking on a region within a country you will find more detailed information for these higher danger levels on. This will include the expected time period for any given event to happen, and also additional aspects, such as its intensity (e.g. snow amounts expected). The background pictures on this regional level will be synonymous with the event and potential risks associated with them. To www.meteoalarm.eu will offer you the option of selecting severe weather information for today or tomorrow. If you want further detail on national warning texts you can link to the relevant National Weather Service by clicking on its logo. To www.meteoalarm.eu is the website that integrates all important severe weather information originating from the official National Public Weather Services across a large number of European countries. This information is presented consistently to ensure coherent interpretation as widely as possible throughout Europe. To www.meteoalarm.eu is developed for EUMETNET, the Network of European Meteorological Services. This initiative is strongly supported by WMO the World Meteorological Organization.